Uaxactún is an ancient archaeological site in the heart of the Mayan Biosphere Reserve, popular with tourists for its ancient ruins. Its 140 mestizo and indigenous families primarily subsist on non-timber forest products such as edible fruits, gum resin and palm leaves; their sustainable management of forest resources over the past eighty years has complemented conservation efforts, and has led to a productive partnership between the community and the Wildlife Conservation Society. 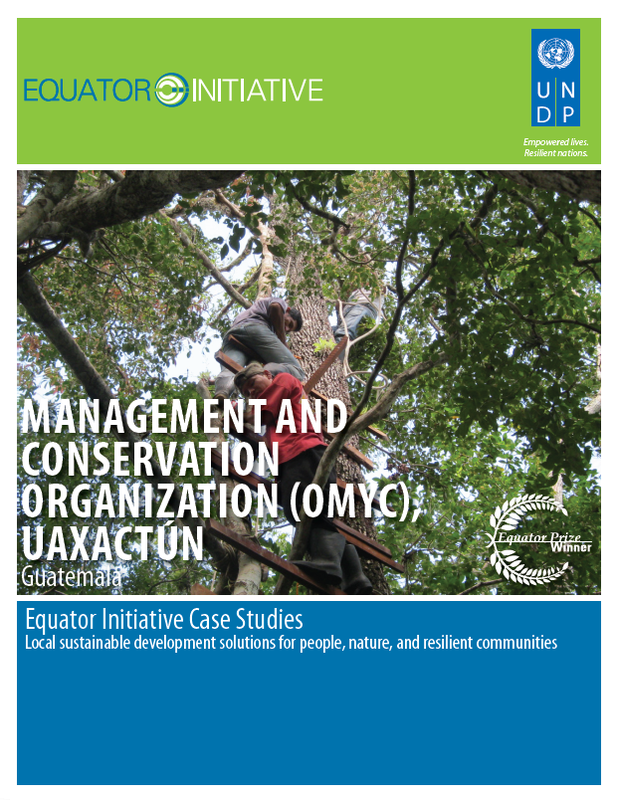 Local residents are represented by the Organización de Manejo y Conservación (OMYC, Uaxactún, Management and Conservation Organization),which manages resource extraction within an 84,000-hectare forest concession. Concession rents are supported by WCS, which also provides support on the harvesting and marketing of non-timber forest products, ecotourism ventures, minimal impact timber use, and the conservation of game species.